The Greening Wingrove CIC- creating a greener environment in Newcastle! 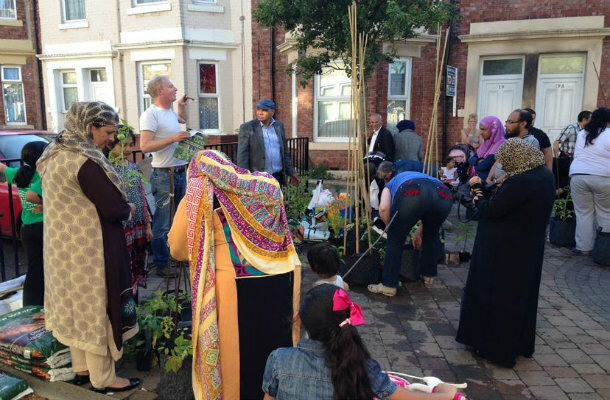 Set up as a community co-operative, the CIC is creating a sustainable, inner-city garden suburb, situated in Newcastle’s most ethnic and socially diverse communities. Since registering as a CIC, 119 local residents have joined as members and the Board of Directors has been appointed from the membership. Although it is difficult to generate an income in a poor area, the CIC has been able to secure funds through grants and service level agreements, providing a turnover of £58k in 2016-17. The CICs trading income has gradually increased from the management of an abandoned bowling green and pavilion in a local park. facilities for young people from varied backgrounds. The CIC was set up primarily to ‘clean and green’ rubbish strewn urban neighbourhoods and has succeeded in mobilising an increasing amount of residents’ volunteering. a popular vertical vegetable planting scheme which involves residents restoring or starting small gardens in the frontages and back yards of their terraced housing. Vertical veg growing has brought neighbours together in a shared interest, prompted by ‘pop up’ street ‘happenings’. The CIC is a locally based and trusted company. Because of this, they are able to help other organisations deliver their environmental initiatives more easily and rapidly. benefit 1,930 homes and businesses by providing ‘water audits’ resulting in many residents opting to take free garden water butts. The CIC was awarded a contract from Karbon Homes to deliver community engagement. 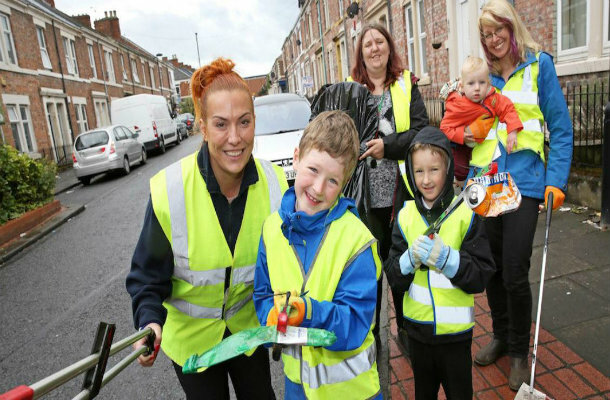 As a result an 8 year old in their local area gained a Prime Minister’s ‘Point of Light’ national award last year for ‘challenging litter’, a project to educate, innovate and inspire communities to pick up litter - improving the environment on everyone’s doorstep. We call this our ‘magnet effect’!